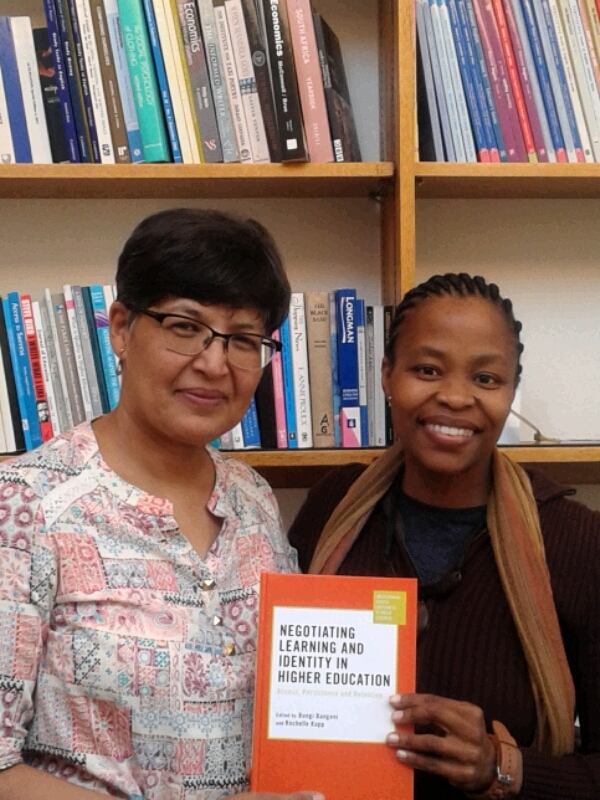 Negotiating learning and identity in higher education by Dr Bongi Bangeni and Assoc Prof Rochelle Kapp, is the latest addition to the collaborative books produced jointly by CHED and other faculties at UCT. The book addresses the issue of students’ multiple transitions in and out of the higher education system, and uniquely documents the agency they display as they negotiate the constraints of multiple contexts over time. Interestingly, the book offers a snapshot of eight years of collaborative, longitudinal research involving over 100 students, 10 collaborators and 5 research assistants, to locate the synergies in university students’ experiences across disciplines. It traces how these students, particularly Black working-class students enrolled in the Academic Development Programme, navigate their learning journey over the years, the choices and decisions they make, the agency, resilience and resourcefulness they exhibit, and how they constantly re-position themselves in relation to home, their disciplines and the institution. In this, the study contests the deficit discourse that sometimes characterises research on extended curriculum provisions. Why identity? Bangeni and Kapp respond that, ‘identity is central to learning’. The study illustrates how, over the years, participants realise that they can enact different identities in different contexts. This becomes a way of responding to the angst attached to straddling those contexts and the fear of losing connection with the norms and values that characterise their home environments. Likewise, the authors relate how students’ identities and trajectories are shaped by their perceptions of the spaces they occupy. In the post-apartheid context, where geopolitics of space continue to frame debates around social justice and redress, students develop nuanced narratives about the institution, as more than simply an alienating or safe space. They absorb and resist particular institutional discourses, identifying those that would facilitate or hinder their choices and agency. These narratives come at a critical juncture in the South African higher education context, where increasingly, issues of access and inclusivity need to be tackled. The case studies presented in the book culminate in a series of recommendations, which firstly call for revisiting the notion of access to higher education. 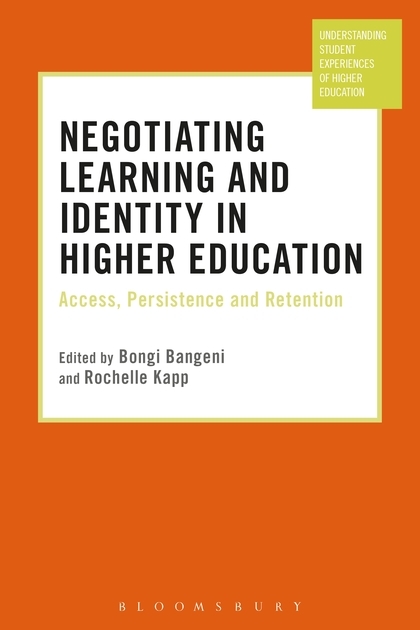 Bangeni and Kapp adopt the term ‘meaningful access’ to look beyond admission, and cover issues of participation and retention. As it stands, the participation rate among African and Coloured students is of 16% and 14% respectively. According to the 2013 CHE Proposal for undergraduate curriculum reform, success in higher education among African and Coloured students, based on these performance trends, is estimated at 5% (read more: http://www.che.ac.za/sites/default/files/publications/). These patterns call for concerted efforts to attain greater inclusivity. For the Bangeni and Kapp, inclusivity does not stop at attempts at making the curriculum more relevant, but is also about how disciplinary content gets taught and assessed. Diverse models of support, stemming from the collaborative nature of the research project itself, feature as ways of supporting staff and students beyond the first year. The recommendations also stress the value of flexible degree pathways, and the need to bridge the divide between school and university by ‘supporting students and teachers’. As Kapp puts it, ‘high school teachers’ voices need to be heard’. This is one of the ways of taking cognisance of the spaces beyond the institution that permeate and impinge on the higher education landscape.